Wilson Architects, along with ADCO Constuctions design team, designed the new $9.7M “Wynnum Manly Community Health Centre, Gundu Pa. The new health precinct operated by Metro South Hospital and Health Service, is home to a 24-hour primary care clinic, a range of allied health and specialist services, as well as oral and mental health services. Wilson Architects’ design approach focused on the experience of the occupants and visitors using a Salutogenesis* approach to wellbeing in healthcare. This approach creates an integrated care centre that achieves a balance between positive health care experience and functional efficiency. Wilson Architects Managing Director Hamilton Wilson says the firm avoided using traditional long clinical corridors, and instead promoted access to natural daylight, and views of nature and the landscape from all walkways. ‘Visitors enter the Health Centre via a calming, natural landscaped courtyard to a central reception and waiting area,’ Hamilton says. 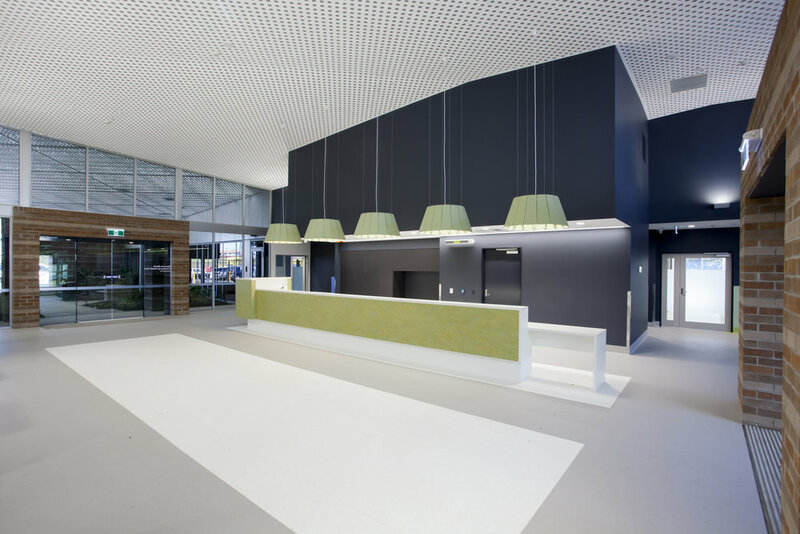 The landscape is seen as an integrated component of the design concept, similar to Wilson Architects’ recently completed Caboolture GP Superclinic. The landscape design is used to reinforce the circulation patterns upon approach and within the facility, as well as de-institutionalising what is often seen as clinical and alienating places. * Salutogenesis is a term coined by Aaron Antonovsky, a professor of medical sociology. The term describes an approach focusing on factors that support human health and well-being, rather than on factors that cause disease.